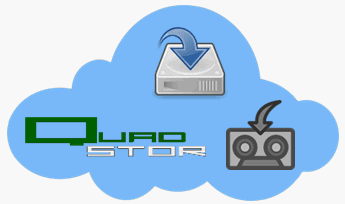 QUADstor - Open Source Storage Virtualization and VTL! It's quite a while ago that I wrote about a small Indian startup called QUADStor and their free storage virtualization software. It enables you to turn a physical or virtual FreeBSD or Linux box into a multi-protocol (iSCSI, FC, NFS/CIFS) storage server that features thin provisioning, transparent compression, inline block-level deduplication and VAAI support for VMware ESXi 5.x! Do you know where your virtual vCenter server is running? Although there have been and will always be discussions on this issue ... it is common practice and supported by VMware to run your vCenter server in a Virtual Machine. I would even consider this best practice, because then you will have the high availability and all other advantages that a VM has over a physical server. However, there are some things to keep in mind with such a setup. You might for example run into a situation where you lose access to vCenter, e.g. because of a network or storage issue, a guest OS crash in the vCenter VM or a host failure that is - for some reason - not accommodated for by HA (although HA does work independently from vCenter!). In such a situation you better know on what host your virtual vCenter runs (or was running), because you need to connect to this host to troubleshoot and resolve the issue and get things up and running again. The same applies to the VM that runs the vCenter database (if this is a separate one). A few days ago the V-Front Challenge #1 ended, and in the meantime I informed all the winners by e-mail. A big thanks to Trainsignal for sponsoring the prizes and to all who participated (I hope you had fun even if you are not a winner). Congratulations go to the winners of the raffle: Nikki R., Kelly M. and Johan! They receive a 30-days free training certificate from Trainsignal. "CPU microcode update available. The guest OS tried to update the microcode ..., but VMware ESX does not allow microcode patches to be applied from within a virtual machine."